Do you have a favorite ride at Disneyland? We love the Pirates of the Caribbean. It was one of my favorites when I was younger and it’s definitely one of my favorite’s today. However, Clever Guy didn’t always like it. In fact, I will confess, I had to bribe him when he was younger to go on it. 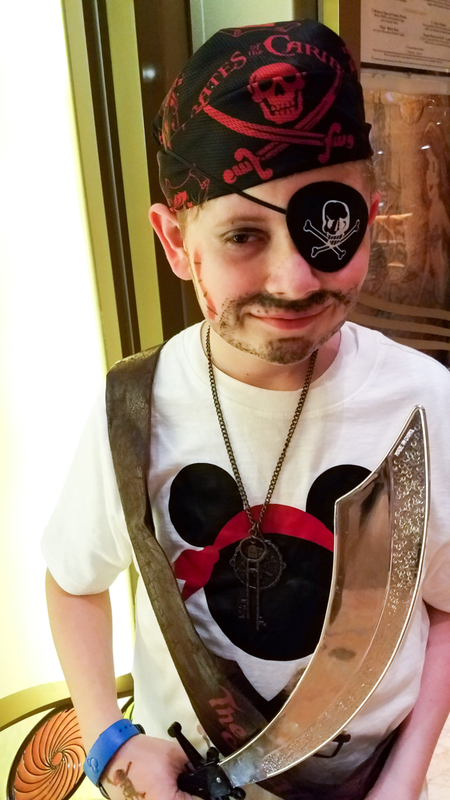 If he went on it, he got to pick out a treat from the Pirate’s gift shop and he eventually grew to love it as much as the rest of us do. 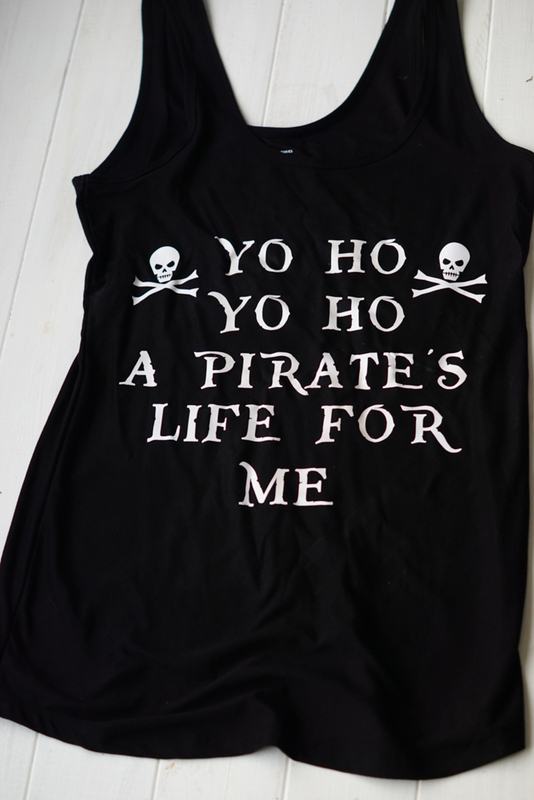 The ride actually inspired today’s DIY project, a Pirate’s of the Caribbean shirt made from lyrics from the song. 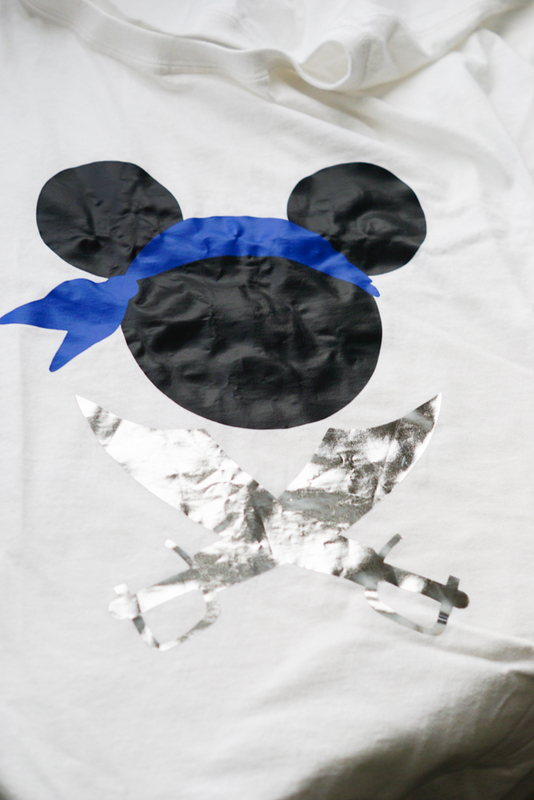 I decided to make this shirt for the PIRATES OF THE CARIBBEAN 50TH ANNIVERSARY that’s happening on March 18th! If you will be at Disneyland, you can find exciting festivities honoring its 50-year legacy that include special food offerings, pirate-themed entertainment, and appearances by Captain Jack Sparrow. You can find more information on the Disney Parks Blog. Fun fact: Pirates of the Caribbean was the last Disneyland attraction personally supervised by Walt Disney. 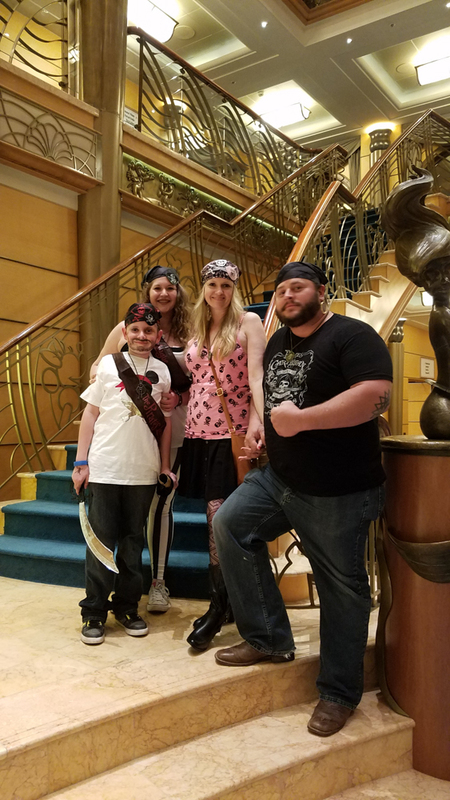 Check out some of the pirate shirts I made for our cruise! I used black, red, blue, and silver foil from Expressions Vinyl. You know what would pair with this tank? 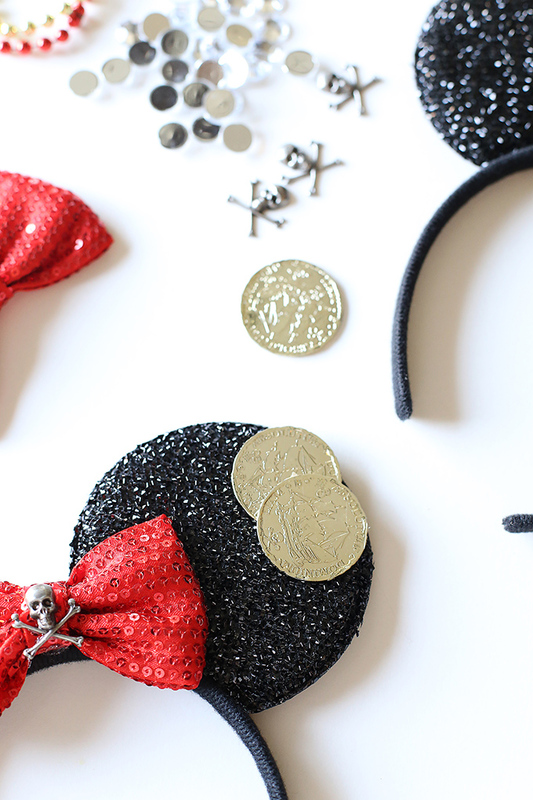 These DIY Pirate Ears! 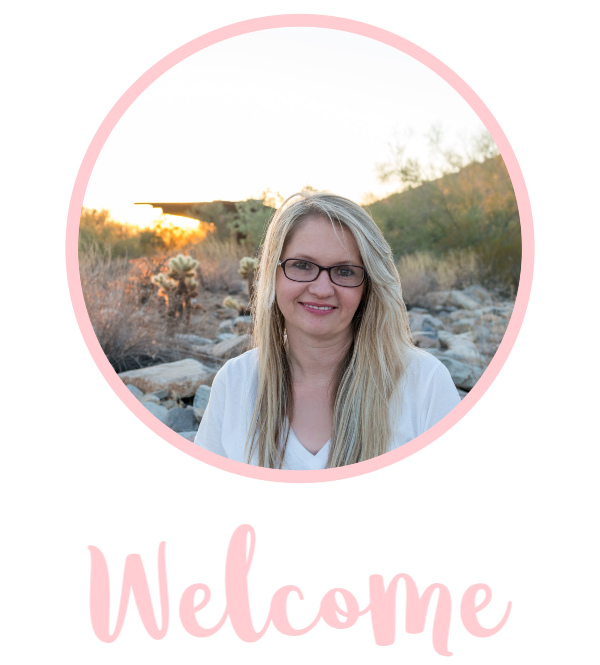 Click the link below to access the DIY tutorial from SeeVanessaCraft.com! 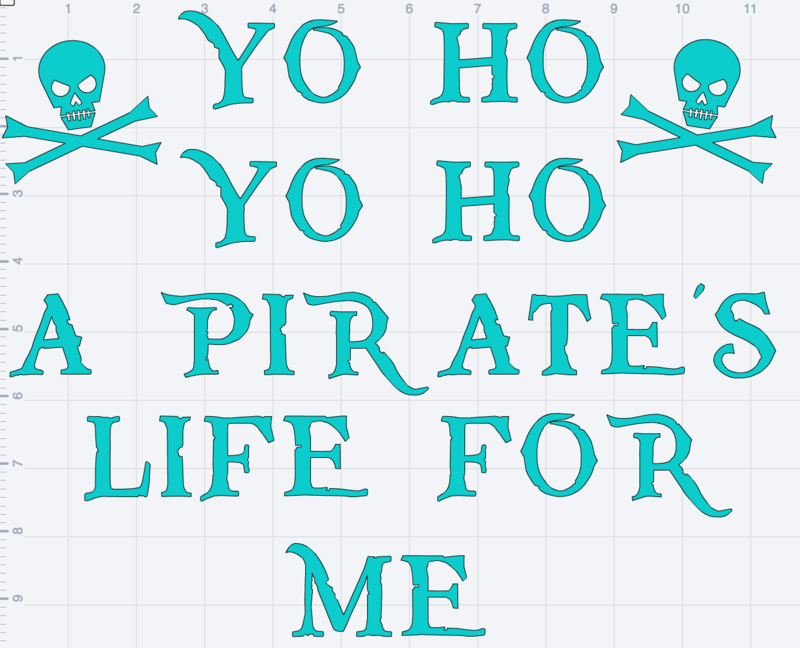 Have you ever wanted to learn the Pirates of the Caribbean song? We have tried but usually, we just sing the hook when we are on the ride. Yo ho, yo ho a pirate’s life for me.